Being an entrepreneur is one of the things I really enjoy about my life. I get to meet so many awesome people who are creating things and writing their own stories. That’s certainly something to be proud of! A few years ago, I met a lovely lady by the name of Tracy Sanders at a networking event in Orlando, Florida. 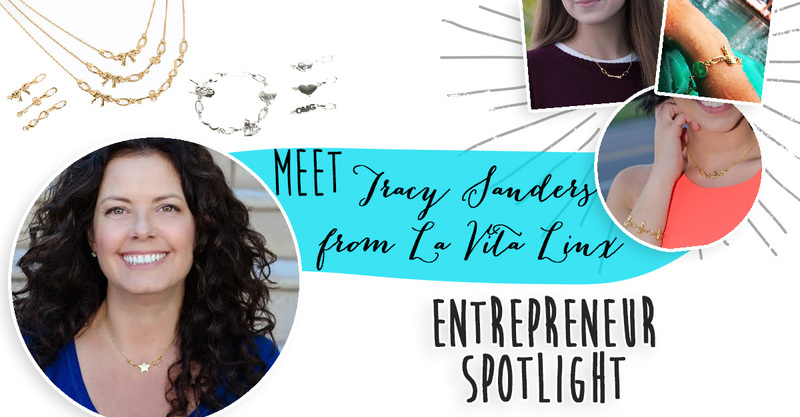 Since then, I’ve kept up with her entrepreneurial adventures and recently watched her launch her second business, La Vita Linx, a jewelry company that offers custom pieces with a unique design. 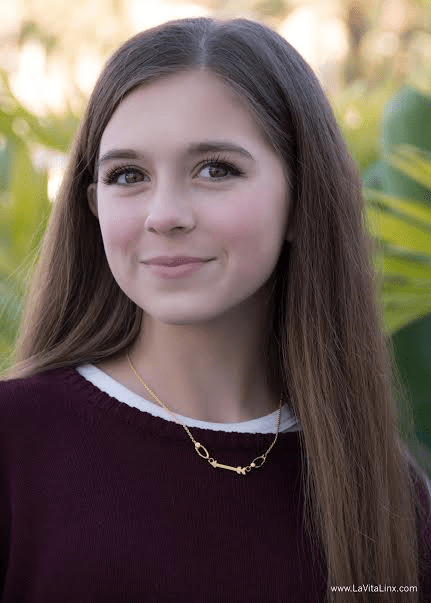 I’m excited to share more about Tracy and her fun jewelry company! 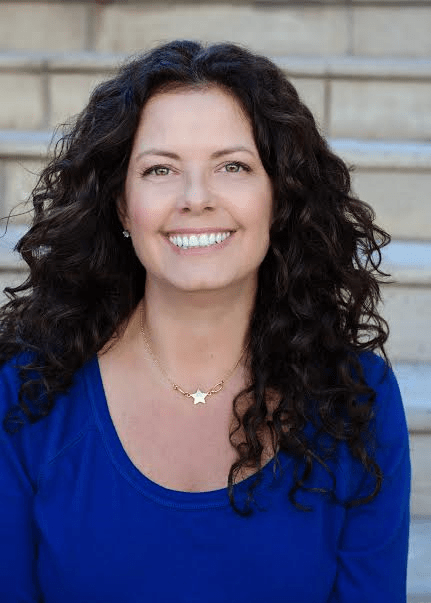 Lindsay Satmary: When was LaVita Linx launched? Tracy Sanders: After hard work, love and support from family and friends, we launched La Vita Linx in June, 2015! LS: How did you come up with the concept? 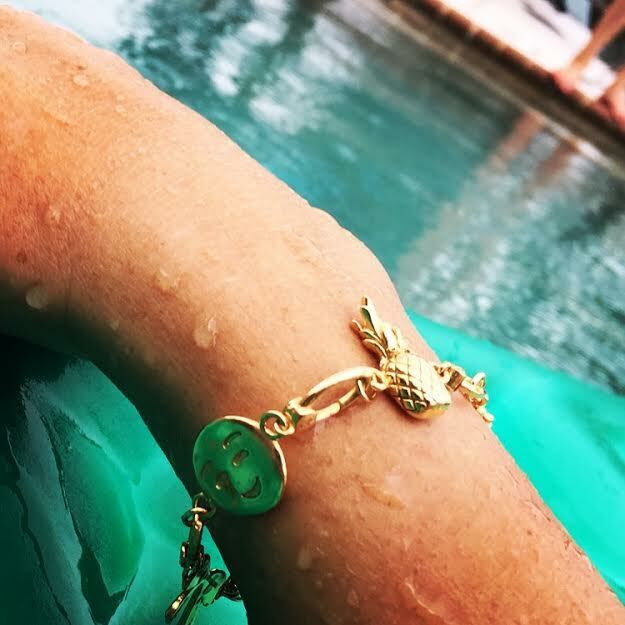 TS: I love charms but was tired of the heaviness of them on my wrist and all the noise my charms made on my bracelet so I came up with the idea to add a link to BOTH ends of the charms so that the charms LINK together. This way, you don’t need a separate charm bracelet or necklace. La Vita Linx IS your charm bracelet/necklace! LS: Is La Vita Linx made for children, teens, women, or all of the above? TS: Jewelry, especially charms, have been and continue to be a perfect keepsake so I’d say LVL is for everyone! LS: How many linkable charms are available for purchase? TS: Currently we have 20 different style charms available. New, fun and fashionable designs are coming up soon. We are always adding pieces to the line! LS: As an entrepreneur, where do you find inspiration? TS: I’m inspired by other entrepreneurs, many of them my friends but I also look at some big players like Sara Blakely from Spanx (she and I knew each other growing up) or Bethenny Frankel and the amazing job she’s done with her Skinny empire! LS: What’s playing on your ipod right now? TS: I have a teenage daughter so she’s keeping me current. I love Justin Bieber’s Love Yourself but deep down, I’m an 80’s girl. LS: What was the last book you enjoyed reading? TS: I LOVED The Glitter Plan by Pamela Skaist-Levy and Gela Nash-Taylor. These ladies created Juicy Couture and their story is AMAZING! It was actually an audio book. I listened to it (twice!) while I worked out. I’m a little too busy to sit down and actually read a book right now. LS: Share a business milestone that you are proud of! TS: As an entrepreneur there are milestones both big and small but I would say I’m super proud of our custom clasp that I created. It’s patent-pending and that makes me pretty happy! LS: What exciting plans for La Vita Linx’s future can you share with us? TS: The future for La Vita Linx looks pretty bright, thankfully! I can’t say too much but we are being considered by a shopping network right now. Fingers crossed! LS: If you could have lunch with anyone in the world, who would you choose and why? 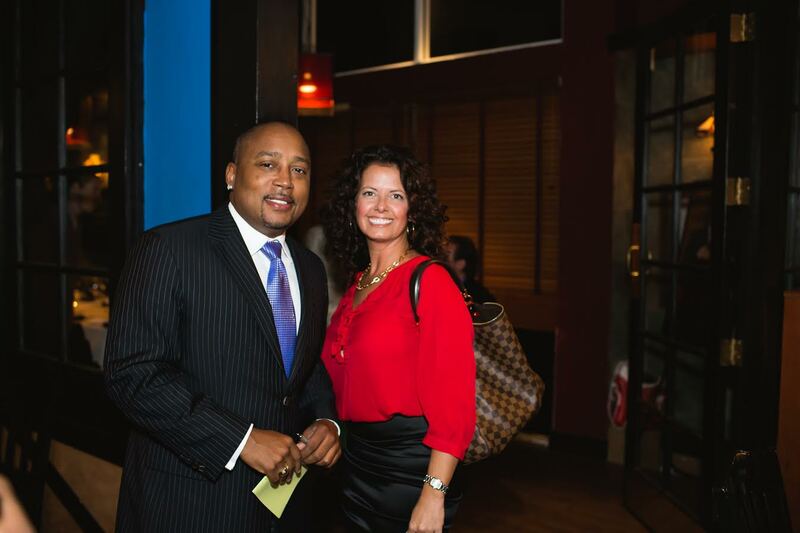 TS: Back in the day, I would have said Daymond John from Shark Tank but that dream became a reality last year! It was super exciting, the restaurant opened up just for us and he loved the idea of my linkable jewelry line so much that he put me in touch with his manufacture! Today, I would choose Steve Martin. But I’m afraid I’d be spitting my food out everywhere because he’s so funny! LS: What is something you’ve learned so far as an entrepreneur? TS: Not to be too jaded but I’ve learned that not everything is as it seems. Many of the HUGE success stories you see out there really aren’t that big after all. You know the saying, “perception is reality.” Remember that. LS: If you could travel anywhere in the world, where would you go? TS: New York City! I used to live there in my 20’s and it’s my favorite place to visit! I love the energy of the city! LS: Entrepreneurs often work long hours. How do you enjoy spending your time off to recharge? TS: If I can get away from the office and all of the duties of being a wife and mom, my favorite way to recharge is at the beach. I live close to Clearwater Beach and it’s just beautiful! A Florida sunset cures all! LS: Do you have any plans for La Vita Linx parties in the future? TS: We haven’t entered the “jewelry party” business yet. Maybe one day! LS: How has being an entrepreneur changed your life? TS: Being an entrepreneur is an emotional tornado! One minute you’re up, one minute your spinning in circles and then you’re slammed to the ground and have to get up again. I’ve learned how to manage all of that and just keep going! Bruises and all! 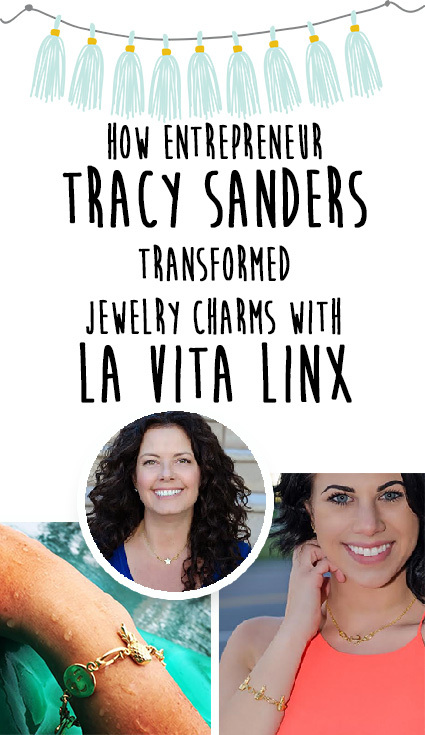 The La Vita Linx linkable jewelry line was created so that you can be the designer! Each La Vita Linx charm has a patent-pending clasp that allows you to link the charms together. Choose one, two, three, TEN linkable charms and you are on your way to creating a very fashionable and unique piece of jewelry. For a necklace, select a custom chain to link your La Vita Linx charms to. The more charms you use, the longer the necklace will be. Short, long, in-between? It’s your call! For your bracelet, just link away! Check out La Vita Linx online and SAVE 25% OFF this week with Promo code LVL25 at checkout! Oh what an inspiring story! And I just love Tracy Sanders’ charms, they’re gorgeous. Great interview and a very nice product! I love when women promote other women – it’s powerful. How fun. That pineapple charm bracelet is so cute.